The news of the leader's demise was confirmed by his cousin Kabir Hossain. Islam, who was public administration minister in the previous Sheikh Hasina Cabinet, died at a hospital in Thailand. 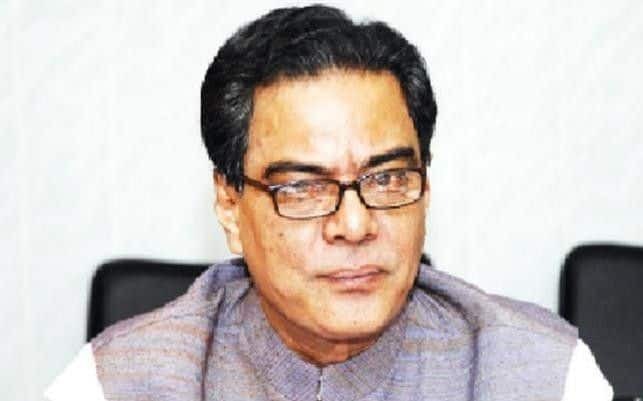 Dhaka: Former Bangladesh minister and veteran Awami League leader Syed Ashraful Islam died of lung cancer. The veteran politician passed away at Bumrungrad International Hospital in Bangkok on the night of January 3. The news of the leader’s demise was confirmed by his cousin Kabir Hossain. Islam, who was public administration minister in the previous Sheikh Hasina Cabinet, died at a hospital in Thailand. The 68-year-old former Awami League general secretary had been suffering from advanced lung cancer. His body will be brought to Dhaka on Saturday, December 5. Islam is survived by a daughter. He was undergoing treatment at the Bangkok hospital for the past few months. Islam was the eldest son of Bangladesh’s founder Sheikh Mujibur Rahman’s close associate and national leader Syed Nazrul Islam who had served as the nation’s acting president during the 1971 liberation war. Even though he was absent during Sunday’s general election, Islam had won the Kishoreganj-1 seat. He had steered the Awami League when it was plunged into a crisis in 2007 during the regime of the military-controlled caretaker government. Islam was elected MP from Kishoreganj-1 constituency five times – in 1996, 2001, 2008, 2014 and 2018. He twice served as general secretary of the Awami League. He also served as minister after the party won the 2008 and 2014 elections. President Abdul Hamid, Awami League chief and Premier Hasina, Speaker Shirin Sharmin Chaudhury and other leaders expressed deep shock over his death.